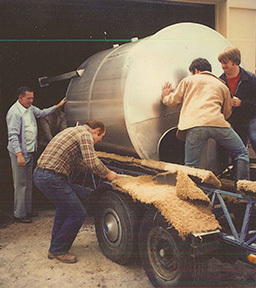 Gordon Bowker and Paul Shipman establish Redhook Brewery in an old Ballard transmission shop with the goal of brewing Seattle a better beer. Blackhook Porter is first brewed. A revival of the traditional London-style, top-fermented porter, Blackhook becomes a favorite of dark beer fans. 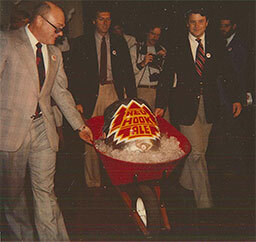 Winterhook, Redhook’s legendary winter ale is first brewed. Crafted with an evolving mix of malts and hops, Winterhook has been brewed annually since this date. Ballard Bitter is first released. 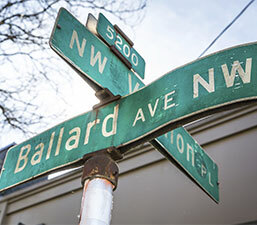 Paying homage to the Scandinavian history of Seattle’s Ballard neighborhood, Ballard Bitter’s hoppy profile becomes a hit with craft beer fans. Ya Sure, Ya Betcha! 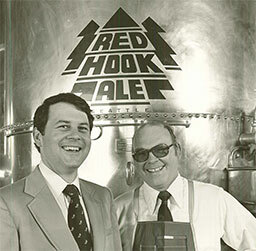 Redhook Extra Special Bitter, a former Winterhook recipe, is released. 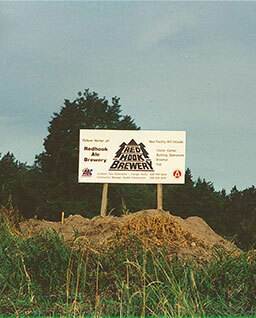 Brewed continuously to this day, Redhook ESB plants a stake in the ground for the Seattle craft beer movement, and inspires a new wave of craft beers across the country. 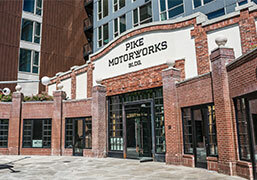 Redhook outgrows the Ballard brewery and moves to Fremont, inhabiting an historic building that served as a barn for trolley cars up until the 1940’s. 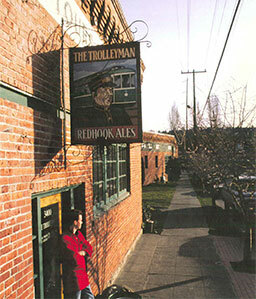 To honor that heritage, new pub is christened the Trolleyman. The Fremont brewery expands production from 40,000 to 75,000 barrels to serve the growing craft beer market. To meet increasing demand from thirsty beer lovers, Redhook opens a state-of-the-art 250,000 barrel brewery located in the heart of scenic Woodinville, WA. 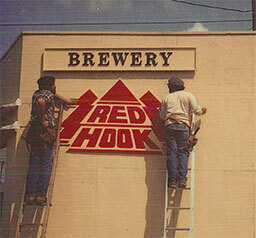 Redhook opens a sister brewery in Portsmouth, NH to better serve Redhook beer fans on the eastern seaboard. 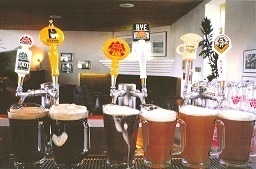 Redhook is the first craft brewery to have bicoastal breweries. 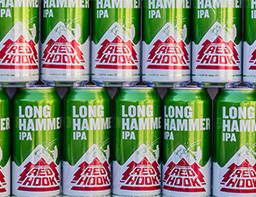 Redhook IPA, aka Long Hammer IPA, is first released. 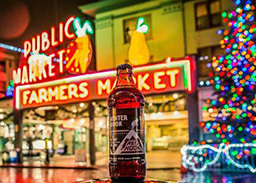 Tracing its heritage from another Redhook classic beer, Ballard Bitter, Long Hammer IPA continues to be one of America’s favorite and Seattle’s #1 IPA. 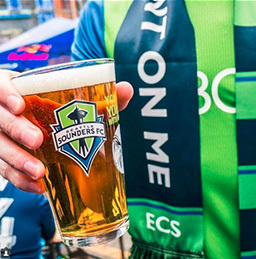 Seattle Sounders inaugural season kicks off and Redhook becomes the Official Craft Beer of the Sounders FC. 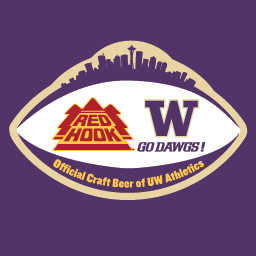 Redhook partners with University of Washington as the official craft beer of Husky Athletics. 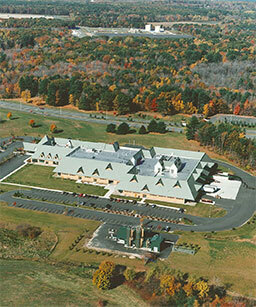 Winterhook Celebrates 30 consecutive years of debuting a different recipe each year. 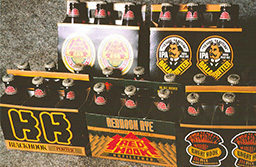 Redhook Extra Special Lager is released. 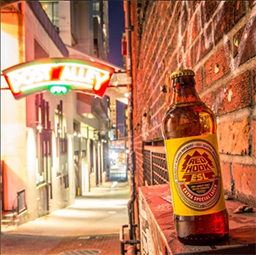 Traces its ancestry from the great export style beers of the Dortmund region of Germany, Redhook ESL finally gives the Emerald City the lager they deserve. 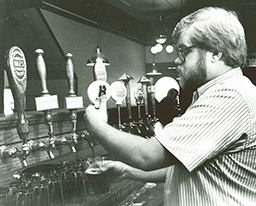 Redhook celebrates 35 years as a craft brewing pioneer and opens a new brewery and pub in Seattle’s Capitol Hill neighborhood.